Next month marks the beginning of boot season! Ready or not Fall is approaching and boots are front and center in our favorite stores–woohoo! I don’t know about you, but we are serious boot lovers over here and we can’t hardly wait to slip our feet into a pair of gorgeous riding boots and super chic booties, paired with sleek skinnies or comfy leggings and we are happy as clams! 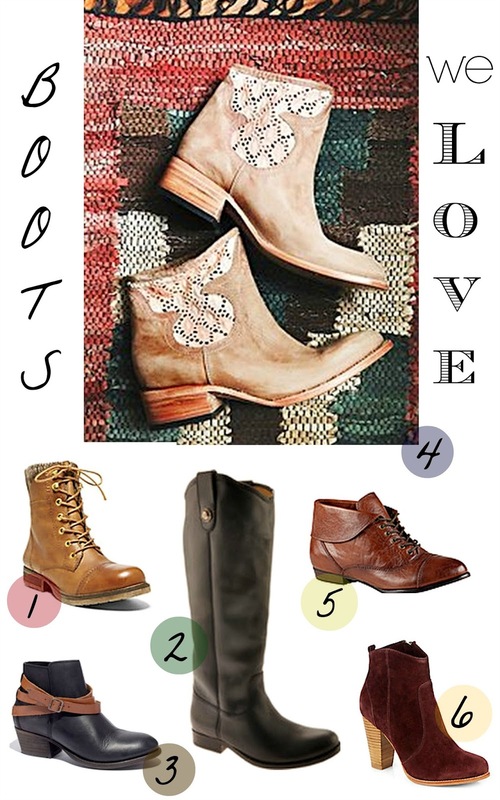 Boot trends this fall consist of lace up, riding, over the knee and fabric details with lots of deep colors! Now this was a seriously difficult task for us– how do you make a short boot list you ask? Well— it took a lot of time and swooning, but we have narrowed it down to six amazing boot finds that we are just dying to add to our closet.